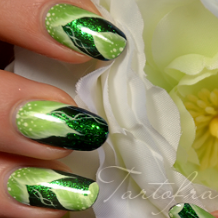 Done by hand, the detail in this leaf mani is truly mind-blowing! 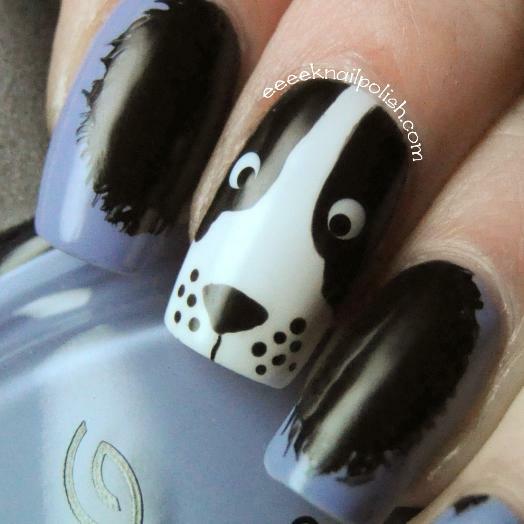 Is this nail art or art on nails? I love ChrissyAi's creativity! The contrast between the foil base and cream tips is particularly stunning. This pup's so cute, I just want to pet him! 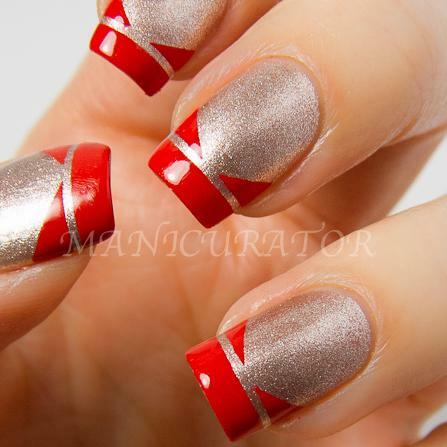 Silver holographic glitter! Here's OPI 'Which is Witch?' layered over 'Glints of Glinda'. 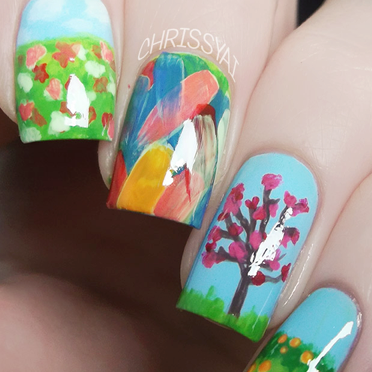 This was created using the whole Zoya 'Lovely' Spring Collection.